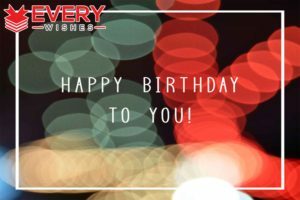 Looking for Romantic Birthday Wishes ? Then you are on right place. 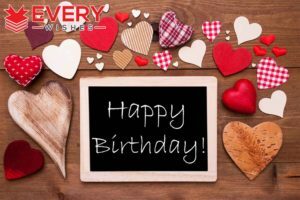 We have huge collecton for romantic birthday wishes you can use copy them and send these wishes to your loved on their birthday. 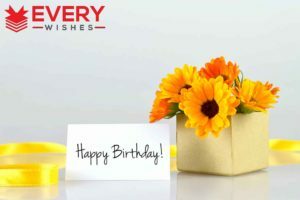 Everybody loves send amazing wishes so we also include few cards for Romantic Birthday wishes. 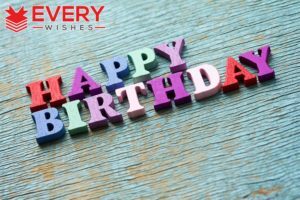 Feel free to use these birthday wishes and make your loved one days more special. 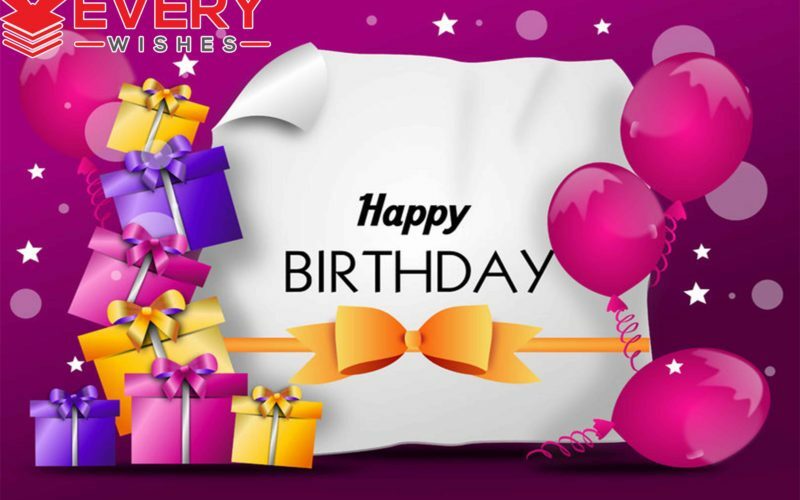 If you want to know why people celebrate birthday then you must checkout this article here. You are my soul mate, my partner, and most trusted friend. I can’t imagine how my life would be without you. On your birthday, I want to remind you of all the reasons why I love you. This year may be full of surprises and your first one comes from me. Happy birthday, love! May every path you take to be free of obstacles. May every corner bring pleasant surprises. May every door you enter bring good fortune. May this day be the happiest of birthdays for you. We are together even when we are apart. You are always on my mind and in my heart. Nothing can come between us. Today and always, you are the light that keeps mine shining. Happy Birthday, the sunshine. I hope that this year, you get back all the good you’ve done times a hundred. Happy Birthday! I draw a circle around you: not a heart because a heart can break, but a circle goes on forever. Happy Birthday, sweetheart. I send to you these birthday blessings, with lots of love and joy. I wish that sweet thing will happen, just for you! I wish you one thing: to give you the chance to see yourself as I see you because only then you would realize how special you really are. Happy Birthday! I wish you a day as bright as your smile, as warm as your heart, and as special as you are. Happy Birthday! In you, I have found: the perfect partner, the best friend, the sweetest love, that I ever imagined. I’m so happy that life has brought me to you. Happy Birthday, sweetheart. It is love that transforms a house into a home.I send to you this special card, and I give it to you with all my heart! The only thing that I can say: I wish you a Happy Birthday! Let God decorate each golden ray of the sun reaching you with wishes of success, happiness, and prosperity! Have a super birthday. May your day overflow with joy and success. Happy birthday, love! On this special day, I give you my heart. I love you. Happy birthday! Only for you. Wishing a beautiful person …… a beautiful day. I’m lucky to share my life with you every day, and when you turn one year older, I become more aware of what you want. My best wishes are with you on this joyous occasion, Happy Birthday to you! On your birthday these roses, specially chosen for you. 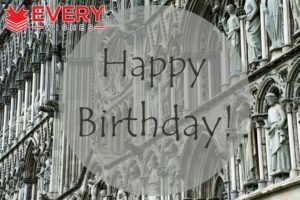 With good wishes and a happy birthday! Today I will give you a card, gifts, hugs, kisses, and a lot more for my lovely wife. Why? Because it’s her birthday. Happy birthday, sweety! When you’re here with me or when we are apart, you are always on my mind and first in my heart. Happy birthday, sweetheart! With a bouquet of roses, I can’t measure up to your wishes. So I challenge fate and ask him to fulfill your wishes. Today the sun forgot to rise. He was too busy… thinking about how to shine the best light on a very special day: your birthday. Our life is like a flower our love is the honey… Happy birthday, sweet! Rise and shine the sunshine. It’s your birthday and it’s party time! To make your birthday sweater, coat it with me! I am the luckiest person on the Earth because I have the most wonderful girl by my side. Happy birthday to you, sweetie! Happy birthday to the most amazing person in my life! You make me feel so lucky in love, dear. I just want to tell you that I love you more with every new day,To remind you that the best years are yet to comeAnd I promise to be near you for all ups and downs. Your birthday is a very special day, but for me, every day is special, if we are spending it together. This message has no fat, no cholesterol and no addictive.This is all natural except… with a lot of honey!But it can never be as sweet as the one reading it! Happy Birthday, sweetheart! ♥ Darling, you are a wonderful bloom in a beautiful garden where only true love grows! Wishing you a brilliant Birthday! ♥ I wish I could attach my heart to this Birthday wish. That’s how much you mean to me. I wish you always be happy and I’ll do everything to make you so. ♥ Blow your candles, Make a wish, And I will give you a Sweet big kiss! Because today’s your birthday, And because you’re extra nice, One wish is not enough for you And so here’s wishing twice! Hoping your Birthday’s wonderful In every single way, And next year brings happiness For my love every day! No birthday gift will be enough to make up for the gift you gave me – the gift of your love. Happy Birthday to amazing little you! You are the angel in my life. On this day, god sent you to earth so we could be together. Happy Birthday to the brightest star in my life! 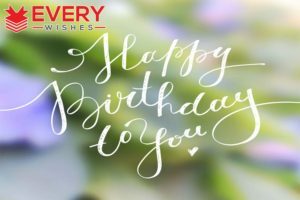 A birthday wish flies from the bottom of my heart Because only deep inside all great wishes start! Wishing the happiest of your celebrations yet, A party too special to ever forget! I wish that the shoulder you rest your head upon is always mine. I wish the hand that supports you is mine. I wish the ears that listen to you when you talk is mine. I just want to be there for you always and forever. Happy Birthday to you, my angel! Nothing brings me more happiness than the smile on your face. I want to see that smile on my girlfriend’s lips forever. Celebrate! You deserve the best. To stay with you, to hear your voice, To see your charming smile, To walk with you, to talk to you And laugh with you awhile! That’s all I need to make my days As happy as can be Because I love you, girl, It’s true – you mean the Entire world to me! Happy Birthday! On this special day, I wish to tell my romantic Boyfriend / Girlfriend that he is my world! Lots of love, hugs, and kisses. Happy Birthday to the lovely Boy / Girl of my dreams. Let’s celebrate this special day of your life and party like there’s no tomorrow. Hey, Birthday boy, when will I get to give you your birthday kiss? I wish to send thousands of words to you… But I’ll reduce them only in 3 magical words! WHERE’S THE PARTY??? And what did you think? ? Happy Birthday, sweetie! What makes me a great husband is having a great wife like you. I am nothing without you. Happy Birthday Wishes for Wife, with all my love. A thousand miles could separate me from a love so strong. Happy Birthday to my gorgeous wife! Happy Birthday Wishes for Wife!! Dear Wife. Thank you for always remaining faithful and unwavering in your love and support no matter how many mistakes I’ve made. Wishing you a blessed birthday. Happy Birthday Wishes for Wife!! Babe, when I asked God for love, I didn’t know he’d add handsomeness, charm, and cuteness to the package. I’m so blessed to share my bed every night with someone as special as you. Happy birthday. Honey, you burnish my life with that beautiful smile and gentle caress of yours. And I’m most grateful to have you in my life. Enjoy your day. Spending each day in your arms gives me a heightened sense of protection, love, and warmth. You are special in that way, my dear. Have a blessed birthday. Dear hubby, quintessence is the right word to describe your love for me. Wishing a happy birthday to the quintessential lover of all time. Cheers. Honey, you are sweeter than honey, and your warm embrace never fails to plunge me in a world of bliss. Happy birthday to you, my dearest husband. My dear hubby, my day is never complete without your sweet, soft words. There’s nothing in this universe that makes me happier than waking up next to you every morning. I feel blessed to be your wife each day. Happy birthday.